Oven Baked Waffles Recipe – Gluten Free Option Too! Powered by Mom’s Oven Baked Waffles! I made a batch of delicious oven baked waffles this weekend! I am so happy we made extras as now we can freeze them and pop them in the toaster when we’re on the run during the week. Better yet it was super easy to make these waffles and I did a gluten-free option which was yummy. It was so good my family had no idea they were gluten-free until I told them afterwards of course. Now the home made waffles are easy to make but if you want to make this even easier you can use a pancake/waffle mix, there are even gluten-free ones out there. I like the Pamela’s gluten-free pancake mix which I see can also be used for waffles, we will try the mix the next round. First how did I bake the waffles? Well I used a fabuloussilicone waffle mold! Mine is from a Canadian company called Epicure but you can get different ones on Amazon HERE which are only $24.99 for a set of 2! I love the silicone mold that I have (it’s not the one above) I can make six waffles at the same time and it’s easy and not messy at all. Here’s the recipe you can use either regular flour, whole wheat flour or gluten-free flour or remember if you want to make it super easy use a pancake/waffle mix. With this recipe, you can use either regular flour, whole wheat flour or gluten-free flour for a family-friendly meal any time of day! Pour waffle batter into mold filling no more than 3/4 (for gluten free for regular flour maybe half way) make sure to fill all corners. Bake 12-15 minutes until the waffles look golden brown, if the top is golden brown the bottom should be too. Take out of oven flip mold (use oven mitts as silicone can be hot) and the waffles will fall out. Serve and enjoy! « Yummy and Hearty Sunday Breakfast a Family Ritual & Recipes Too! Any tips or thoughts on if this could be done with a cast iron waffle iron, the kind that you can use on the stove(non glass top stove anyways)? Hello and thank you for this recipe. Using the red pictured silicone molds, how many waffles should this recipe yield? Just ordered 2 pans from WISH should be here by next week. Have had these walls and they are great. My sister would make about 16 and freeze them. We toasted are micro waved them either way they are yummy. Thanks for the share. I found your blog after purchased cheap silicon mould from our local grocery shop. Finally made it today and my girls love it (I haven’t tasted myself, being a diabetic I had to follow my eating plan :)). I used up all the batter to fill up 6 cavities of the mould but they turned out too thick (still looked good though). 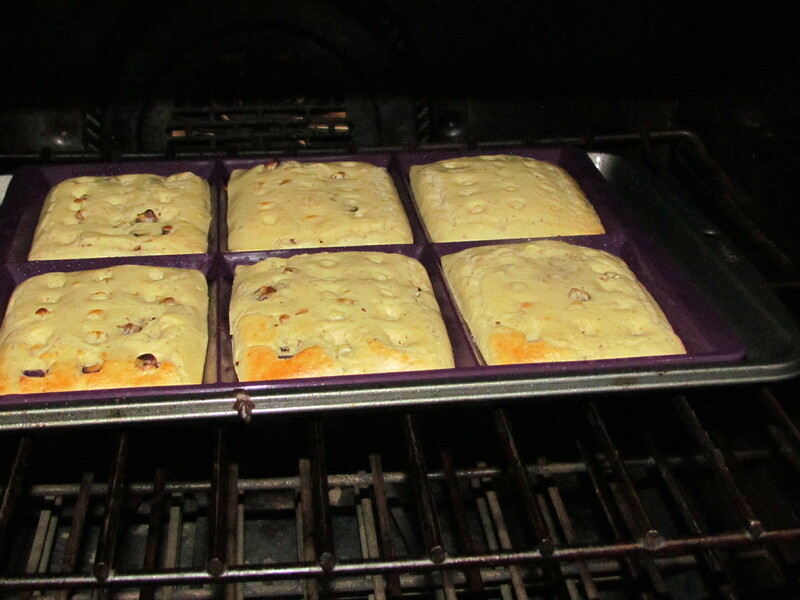 I wonder if I could leave the batter waiting until I can bake the second batch. Wow– I had no idea there was a way to do waffles in the oven– looks easy enough for me– Need to find one of these pans first. In fact we had waffles for dinner tonight– its always a hit any time of the day. I’ll be checking in to getting one of these pans. Thanks for your creative ideas. Hi from Slovenia – Europe 🙂 so the other side – had to share – bought silicone moulds two days ago in one of our shops and HORROR – how to bake waffles in it? Luckily my best friend Uncle Google found you 🙂 Prepared the waffles for dinner tonight – the last time we ate waffles was at Lake Arrowhead in California on vacation last summer – and my men (3 of them) were schocked HOW DID YOU DO THESE? 😀 Put a bowl of fresh strawberries, a big jar of Nutella and whiped cream on the table and it was PERFECT! THANK YOU SO MUCH!!! I never thought to make waffles in the oven. I love that mold. I will be trying your recipe and add blueberries. My daughter happens to be on wafflee kick so I know she’s going to want these. Thanks for sharing. I love any gluten free recipes. These waffles look delicious! I never knew that they wold a waffle mold. This is terrific for those that have to eat a gluten free diet and can enjoy delicious waffles. I never thought of making waffles in the oven. I love this method. These sound good. I have not seen any of these molds yet. I would appreciate a waffle mold more than an electric waffle maker because I live in a small apartment with very little storage and counter space. I made these and they are so much better than frozen. I will never buy another frozen waffle again. I need to get myself a waffle maker, I have been saying this for a long time, something always popping up loll , I really like the looks of these silicone waffle makers and that recipe is yummy!! , making me hungry already loll.. The only waffles I’ve ever had are the frozen, toaster type. I imagine they taste much better being homemade. oven baked waffles!! yummy! I have never seen a waffle mold before. I have never heard of oven baked waffles, that looks awesome! Can’t wait to try this recipe – and thanks for offering a gluten-free option! This is cool!! Thanks for showing me how to make waffles, love them! I had no idea they made these pans. . Love! WHOA! I NEED those waffle pans in my life. Lol. I miss having a waffle iron in general. These look yummy. Never knew you could do waffles in the oven. I love to do my bacon in the oven. So now I can do my waffles too. I will share this with my sister-in-law whom is Gluten -Free she will love this too. Thank You. WOW ! In the oven? Never heard of that before! That is one way to turn out a bunch at one time! 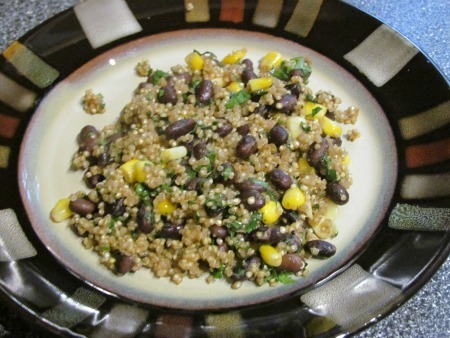 Super great sounding recipe! Thanks for sharing! You are one smart cookie! Oh what a great idea. I never saw these silicone waffle molds before. I think I will purchase them. I hate cleaning the waffle iron. I love how easy these are to make. They look perfect for Sunday breakfast. I can’t wait to try this recipe for oven baked waffles. They look wonderful. I’ve never had a home cooked waffle. I’ll bet they’re so much better than the pop in the toaster, frozen ones. I love the Waffle Cone Mold, what a great idea! Delicious!! Nothing like Home made waffles. That’s all my Mom ever made was Homemade stuff! We didn’t have frozen waffles or pancakes Back then..I really Love the to my pin silicone waffle molds. I never knew these were around until I read your Post. I will definitely purchase these molds and pin your Delicious sounding waffle recipe to my pinterest Boards…Thankyou so much for sharing!! Thank you so much for sharing this recipe. I love the baking option as I’m sure the waffles will stay hot longer. These sound so yummy. Thank you for sharing. Wow, these waffles look so yummy! My mom would love this recipe~thanks so much. Gosh, I have never heard of this! I have got to check out those molds on amazon.com. Didn’t know that they sell waffle molds..These waffles looks amazing..Really have to try it. These are amazing! I would really love to try them soon! There’s nothing better than homemade waffles! Our Family really enjoy them. Thanks for the recipe! Those really look good! Thanks for sharing. Wow what a great idea. I want to look for this mold. Baking seems so much easier too. I would love to try this. Am going to the mall soon and will be looking for this. Thanks for the info!!! What a great idea! They look delicious! Love the idea of making extras and freezing them for later!!! What a time saver! This is better than a waffle iron it seems. Thank you for your recipe and review. Looks so good , I want it for a midnight snack. Hello thank you for the recipe options for preparing these waffles I am not sure what glutten free option is but I will enjoy it I am sure. I know what I’m having for breakfast tomorrow! Thanks!!! I like that I can make these any way I choose. My Daughter has a friend who has to eat gluten free foods. I don’t think we are far out from sleep overs, it’s good to have this recipe. I can make this for breakfast when she finally does sleep over. I pinned. Thank you. I want to get these molds. My granddaughters love coming to my house all summer 2 days a week and I make Pamela’s waffles for them from the mix. Thank you for the recipe, too. yay Florence you are welcome and I hope you enjoy it! Our family is all gluten free, I am going to make these in the morning. They look great! Thank you for the recipe, my kids love wafles. Never seen this silicone mold available before. Great idea, and allot less messier. I definitely will be on the lookout for this. Our family loves waffles! What the what! I am gonna have to add this pan to my Amazon wish list. Wow! I had no idea you could bake waffles in the oven…very interesting!! I’m going to try this recipe with my family, and I’m sure they will love them. Thanks for sharing! I WOULD LOVE TO TRY THIS–THANKS FOR SHARING.. I didn’t know that there were silicone molds for waffles. It makes it so much easier to bake them and they are healthier too. This sounds awesome and yummy. Having 6 waffles ready at the same time is a plus for me. Now, on to Amazon or Ebay to search for the molds! These look even better than the waffles my waffle maker makes! Great idea! I love the thought of home-made waffles for my family.They have to be more wholesome and healthier.I love the simplicity of doing them in the oven too.Thanks so much for sharing this. I’ve never heard of this way of cooking waffles, but love the idea that 6 waffles will be ready all at the same time. The standing and waiting and watching for each waffle to finish cooking in a waffle maker is what keeps me from making them more often. Do they ever stick in the mold? These looks SO good and gluten free is a bonus. Oven-baked waffles!? New to me, but would be so much easier than standing over the stove! These look so yummy! I need to get some waffle molds! Looks good and is good for you. Thank you. Love the waffle molds! I have never seen them but I definitely want them! So much easier than storing a waffle maker! These oven baked wafgles look chrispy ! Mayple syrup and yummy!! I have never heard of oven made waffles before! They look yummy! 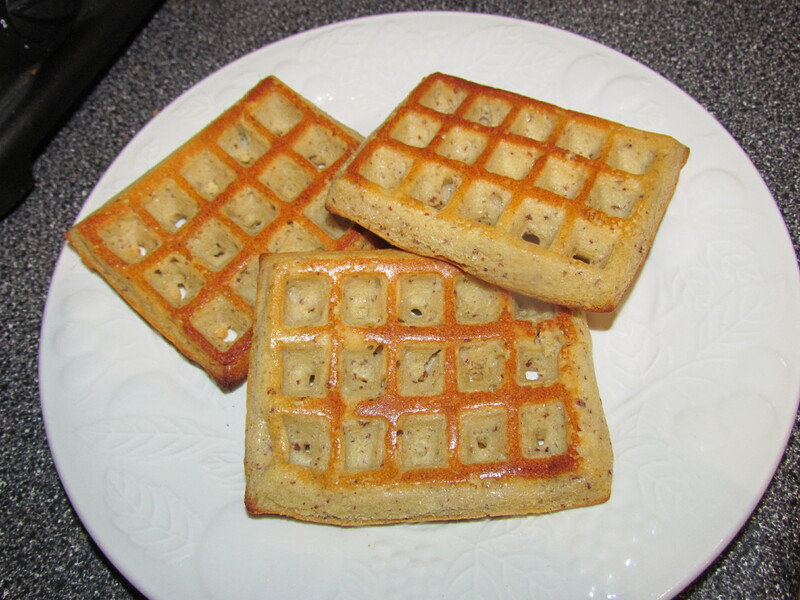 never had baked waffles,looks good,have to find me a waffle mold so i can try these. 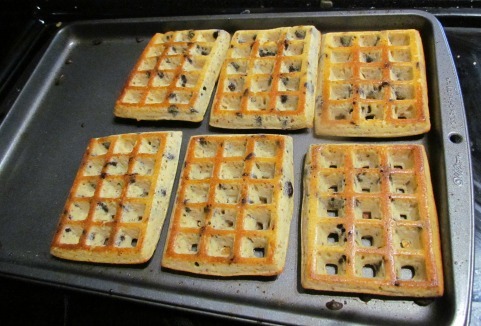 i need to do me some of these..i love waffles..got get this…oven going. I’ve never had home made waffles before. The recipe sounds pretty good. I’ve never seen a product like this before, but I love it! Thanks for posting about this! This sounds good love to try this. My youngest loves waffles. Easier to clean than a waffle iron and better than frozen. I’ll be looking for these molds! Thank you!! I had no idea that you could even buy waffle molds for your oven! I’m going to look for these, I love this idea! These look amazing. I have to try this recipe because my daughter loves waffles for breakfast. Thanks for sharing. 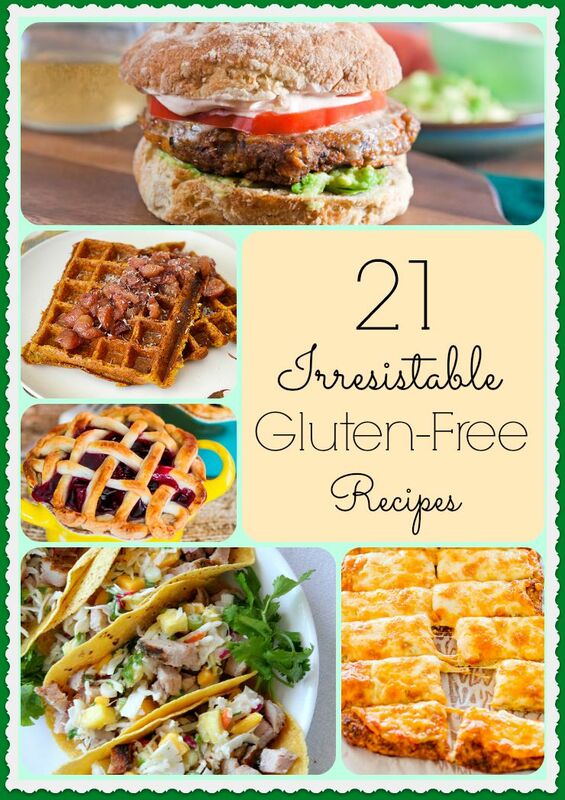 This recipe sounds great I will share it with my daughter in law and she would love the gluten free option, now the oven waffle mold is really cool, I have never seen one, but will be on the look out for one, all we have is an old electric waffle maker which I guess could make thse waffles also. Thanks for sharing the information on this mold. I have never seen a mold like this. I have only known about the electric waffle makers. These look wonderful! The waffle mold is great. Never seen that before.